With the New Year, rapidly approaching everyone is looking for an edge, and trying to beat the New Year’s resolutioners, to have their best body by 2014. For most people this new body is just about having washboard, shredded obliques, and a nicer backside which means putting on muscle and losing as much fat as possible. Remember you aren’t just muscles; you have your heart and mind to worry about too, there is one food out there that can help you improve all three, the coconut. Coconut water is packed full of potassium and easily digested carbs, exactly what your body needs during a tough workout. Not only is that potassium going to help you get proper muscle contractions but it is also going to help you prevent cramping, while those easily digested carbs give you the energy you need to train longer. Coconut water is not the only useful part of the coconut when it comes to working out and cutting fat, coconut oil which is high in saturated fat, is packed full of medium-chain-triglycerides or MCT’s which your body burns up faster than the long-chain-triglycerides found in other saturated fats. 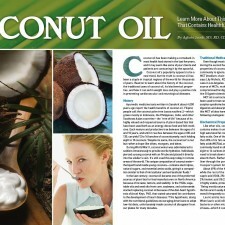 Studies show that the MCT’s in coconut oil increase postprandial thermogenesis meaning that right after consumption coconut oil is revving up your metabolism to burn fat, not only that, but the coconut oil is also increasing your ketogenic potential meaning your body will start burning off fat storage’s for energy instead of drawing on the proteins found in muscle tissue. So coconut oil is giving your body easy to use energy and encouraging your body to burn off fat for additional energy allowing you to keep more of you muscular gains. As if the benefits above are not enough one study showed that after only five days of using coconut oil insulin sensitivity was increased 17% in healthy adults! Being insulin sensitive means your body can process sugars mere effectively and this is a very good thing. Most people believe that saturated fats cause heart disease, but an analysis published in the January 2010 issue of the American Journal of Clinical Nutrition showed there is no relationship between saturated fat consumption and heart disease. 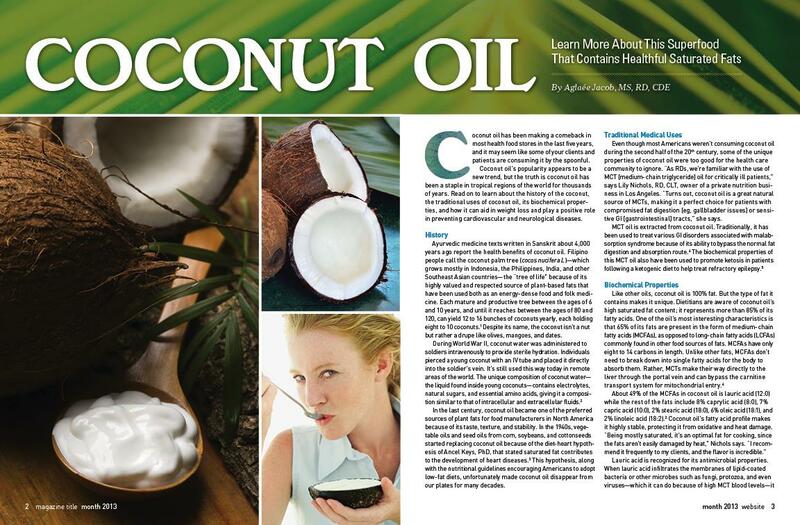 There have been many studies that show coconut oil and the MCT’s associated with it actually help to increase HDL improving the patient’s cholesterol ratio and reducing risk in their cardiovascular profile. So not only is the coconut helping you train harder and burn fat but is also improving your overall heart health. The power of the coconut does not stop there. A healthy brain is arguably the most essential piece of a healthy body but is often forgotten when it comes to training and nutrition. Your brain needs to be fed so it can work at its maximum levels and coconut oil can help. Research shows MCT’s can improve glucose metabolism in the brain, I know what you’re thinking, what does that mean for me? Well Alzheimer’s is caused by a decline of glucose metabolism in the brain. When coconut oil is promoting ketosis in your body, it is helping your brain use ketones as an alternative source of fuel, which can supply more than 50% of the brains energy needs. So what the coconut oil is doing is providing fuel for your brain to accomplish all of its necessary tasks like remembering and problem solving. As you build your best body by 2014 don’t forget it’s not just about putting on muscle and losing fat. It’s about being healthier inside as well, and coconuts are here to help!